Around 15 miles northwest of Sisters and within an easy walking distance of the popular Scout Lake Day Use Area, this group campground offers a volleyball court (net not provided) and horseshoe pit (horseshoes not provided), and the whole campground can be rented to accommodate up to 100 people. The picnic shelter has been removed for safety reasons, with no plans for reconstruction. 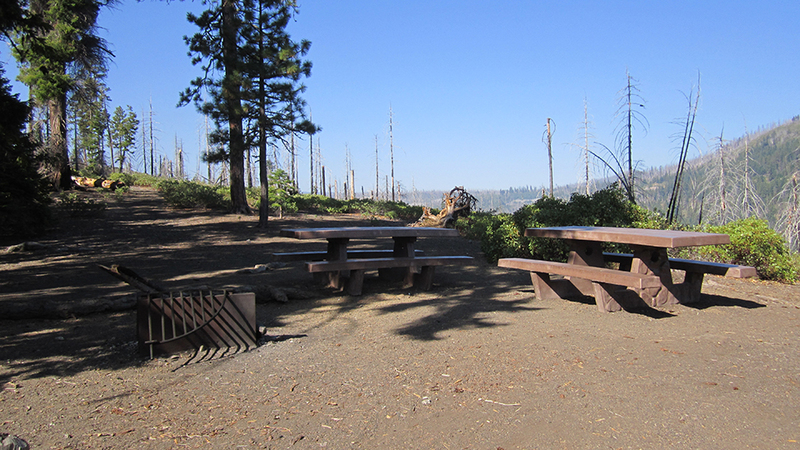 Scout Lake, in a mixed-conifer forest, is popular with swimmers and has a large day use area with picnic tables and parking for 50 vehicles, making this campground accessible to people interested in a group or family meeting place. With three group sites, one single site, six double sites, three vault toilets and a gravity fed water system, and a maximum site spur length of 40 feet, sites can be reserved by calling 877.444.6777 from recreation.gov. The large beachfront is just 50 yards away from the parking lot, and Suttle Lake is about a mile away with fishing, waterskiing, and boating. If you plan on camping with a dog, DOGS ARE NOT ALLOWED at the Scout Lake Day Use Area adjacent to the campground due to sanitation and safety concerns related to the high numbers of people, including young children, who visit the lake.